is sitting in a detaining room at Ellis Island, looking out a small window, not knowing a stitch of English and fawning upon the awesome image of the Statue of Liberty. Being sons and daughters of immigrants ourselves, we have a certain affinity for that scene. Throughout our lives as Americans, New Yorkers to be specific, few images strike a chord as to the melting pot that is New York as strongly as this. On a cold, late January day, my wife, daughter and I, in the middle of eating our hot dogs that we drenched with yellow mustard and relish, ran outside to the front of the boat, braving the cold, to get a good look at the Lady standing in the middle of the Harbor. I can only imagine what the generations before us felt as they arrived after being on boats for months at a time leaving the old world and into a new. The sight of the Statue of Liberty, moss green due to oxidation, warmed us even though we left our hats and gloves behind at our seats in the interior cabin. She’s an image to behold; not just for the tourists that were on the boat with us, but more, for we New Yorkers. As I came back into the cabin, I pretended that the tears that swelled my eyes came from the cold. This was just one of the many experiences we received during our two and a half hour cruise on the famed New York Circle Line. Since 1945, it has served over 60 million passengers, and we were fortunate to have added to that number. With guides that have a gift of the gab, the time spent on the boat is not only filled with information but as entertaining as any act you’ll find in town. Our seats were perfect. It was facing the dock at first but as the ship pulls out, we had the best view. With the addition of the new Empire Class ships, the vessels are as smooth as they come and built specifically for sightseeing with big windows, more outdoor deck, and an upgraded sound system. There are no bad seats in the house, but we found that if you sit on the left side of the boat (your right as you enter) directly behind the steps that lead to the restrooms, are the best in which to sit. Most of Manhattan island will be to your left throughout the tour and there is also a little perch for you to put your food and drinks down if you wish to take advantage of the reasonably priced concession stand. Which, for the record, have great selection of beers and excellent New York City Hot Dogs. If you are one of many who haven’t been fortunate enough to score tickets to Broadway’s “Hamilton”, take this cruise and you’ll probably receive as much education about the man from these two and half hours as you would sitting at the Richard Rodgers Theater on Broadway. You’ll also get educated on other founding fathers such as the likes of George Washington. Along with Washington, Presidential families such as the Roosevelt’s, the Grants, and the Kennedys also get much mention. Not the boring stuff, just the interesting information that relates to the City; such as seeing sites where battles were won or lost, schools in which they attended, where they are buried, etc. Our Awesome guide, Dave Parker. 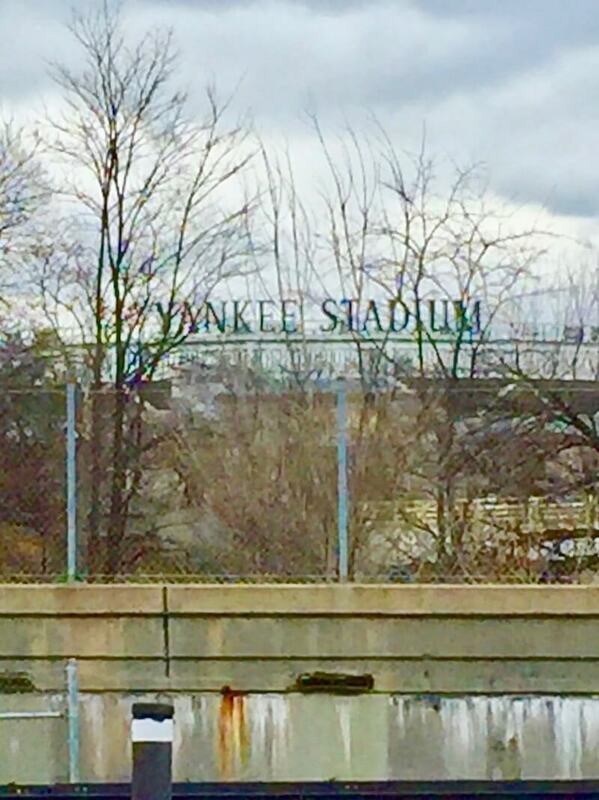 For sports enthusiasts like myself, there is much mention of our sports teams, former and current, their histories, so forth; and one of my favorite moments of the trip was when we approached Yankee Stadium and there was a smattering of cheers and jeers that led to universal laughter. Nothing like loving and hating my Yankees of New York. Why is NYC called the Empire State or The Big Apple? 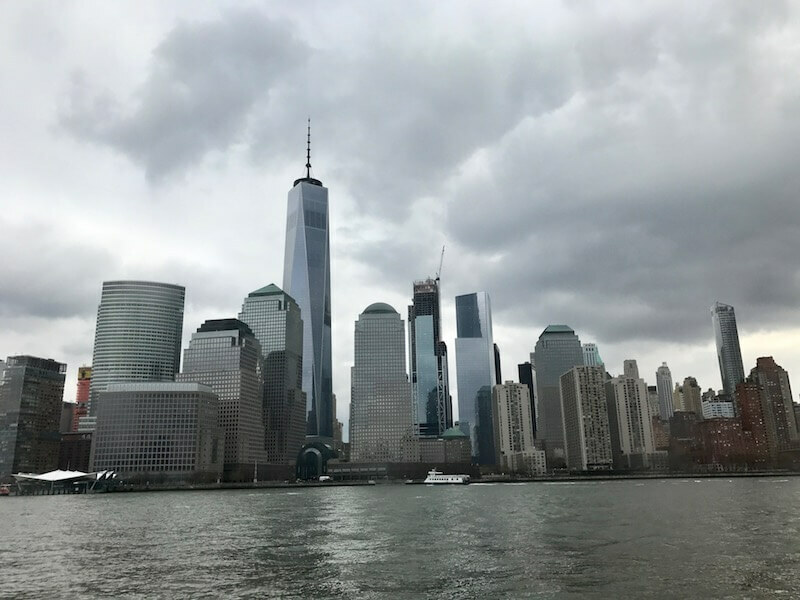 The cruise provides its passengers the most beautiful vantage points of Manhattan Island and some of its boroughs and nearby states (New Jersey and Connecticut). 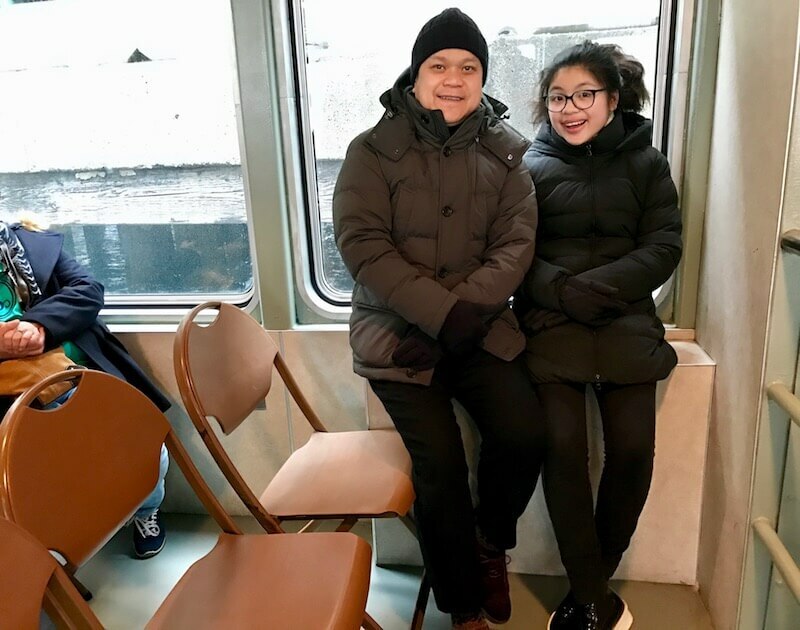 However, it’s the stories and facts that are provided throughout, that even the most knowledgeable New Yorkers such as ourselves were not privy, are what makes the time spent on board so special. The passengers are schooled on items such as why Manhattan is called the Empire State, or the Big Apple. I’d mention a few more but wouldn’t want to ruin it for you. As the ship circumnavigated the island of Manhattan, it felt akin to time travel. In the early stages of the voyage, the ship spends time in Lower Manhattan, the oldest parts of town, and then continues North, where Skyscrapers start taking over and serve as symbolism to the progression of the City. Further North on the Hudson is a bucolic setting that sets the clock back once again when one can easily imagine pre-colonial Manhattan. There is so much history and every bit of it made me proud of my city. From the Dutch to the English to the Germans to the Italians, Irish, Chinese, and Puerto Ricans, etc, etc; it’s no wonder why this beautiful island is the most culturally colorful in the world. This tour de force is something to be experienced by everyone, New Yorkers especially. I can assure you, that there will be something about this City that you don’t know, and that you’ll be taught during the cruise. The cruise also makes for a great venue for a family day trip. It’s the greatest city in the world, and boarding the Circle Line helps all passengers appreciate it even more. The insightful narrative is part of admission, the co-authoring of your experience is left to you. Create your own stories by having a hot dog, a beer and brave any weather by getting out on the decks as often as possible and play the role of that young Vito Corleone and imagine being one of those who saw this wonderful island for the first time. We were guests of The Circle Line Tour but as always, all words and thoughts are ours. Pin it for later and share! Thank you for reading, Neni. There’s always more to learn about NYC and I love this affordable and historical trip. The city views are stunning and getting close to the “Lady” is always a treat. I regret not walking bridges and getting out on the water last time I was in the city but won’t make that mistake again. Even for us locals, we sometimes neglect to get out to our waters to explore our beautiful city. Wow! What a great tour. I’ve been to NYC a couple of times in the last year but have yet to do a tour and it seems like it is a big mistake! Next trip I am definitely doing this! I think you’d really enjoy it. It was so informative and fun! The Circle Line sounds like a great way to see your city without having to deal with traffic or crowds. 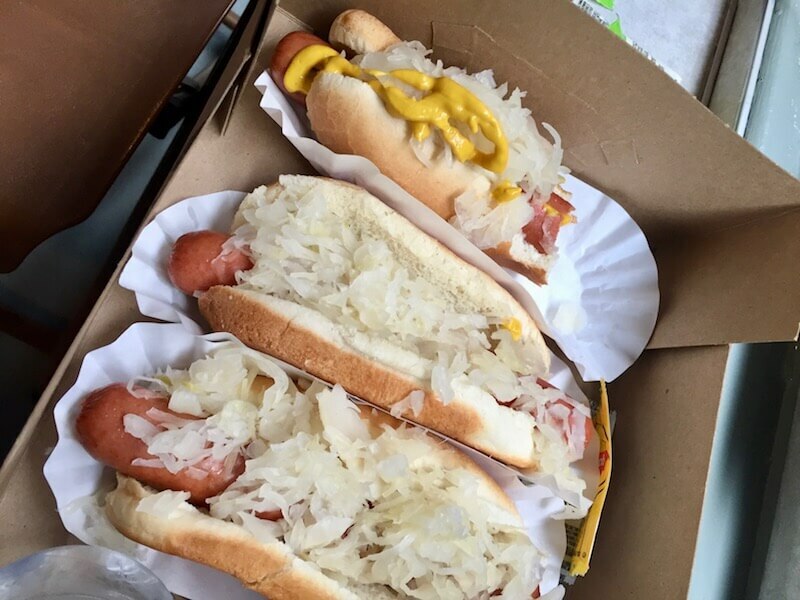 The best of New York can come to you with sweeping views of the city and yummy hot dogs. How cool is that? 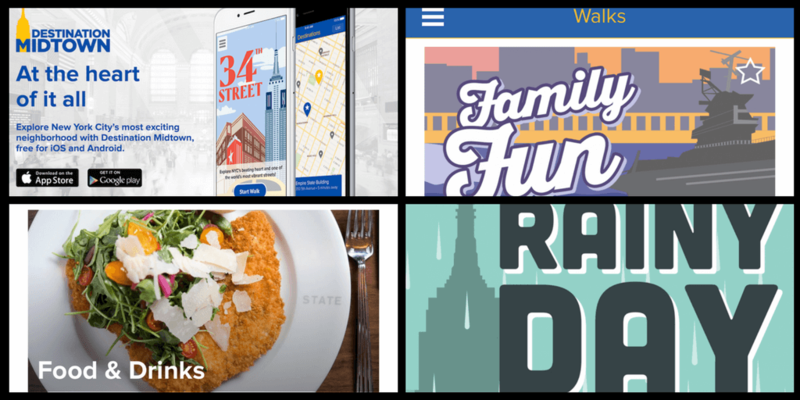 We have to agree that these city tours aren’t just for tourists. We live in San Diego and get to take tours here regularly as part of our work (Just finished Whale Watching). Every time we go, we see our city in a new light and appreciate it that much more. Thank you for sharing a wonderful article. Wow, whale watching must be amazing. It really was a special thing to do in NYC. Just quietly, but immigrants arriving in NYC and seeing the Statue of Liberty would have been sailing for days rather than months. Even Columbus only took five weeks to cross the Atlantic on his first trip. We have been hoping to get to New York soon. It is a city we have always wanted to visit. Thanks for the tips to help us make our trip planning a little easier 🙂 We will certainly look into the Circle Line Tour. Oh, you won’t regret it, it will certainly be a great tour.